Being recognized as having "the whitest and finest sand in the world", and being voted The Best Beach in America (Dr. Beach, 2011), it's not hard to see why relaxing on Siesta Key's soft sand and within its warm rays is nothing but pure pleasure. But it's not all just crystal blue waters and white beaches. Warm weather, friendly faces, and plenty of activities in and around Siesta Key also make up this quaint paradise on the Southwestern coast of Florida. There's certainly no shortage of things to do, whether it's dipping your feet into the cool waters, hunting for beautiful shells, or something adventurous like parasailing, there is something for everyone. This perfect family vacation venue, which boasts beachside picnic areas and playgrounds, is also home to candlelit restaurants and cozy rental cottages—ideal for a romantic getaway. Siesta Key Home & Condo invites you to carve out a little piece of paradise with your very own affordable, seaside rental property. 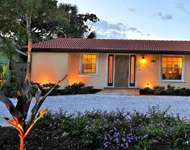 Roomy and stylish, these properties feature many amenities all while being steps from the gorgeous Siesta Key beaches. So prepare yourself for a luxurious stay like no other when you dig your toes into the cool, white sand of Siesta Beach and let all the pressures of life melt away. The Ringling, the State Art Museum of Florida, is home to one of the preeminent art and cultural collections in the United States. 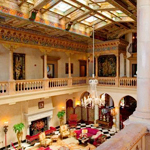 Spend a day or two exploring the 66 acre estate of John and Mable Ringling which also includes the Circus Museum, Ca' d'Zan,The Historic Asolo Theater, Bayfront Gardens and more. The home of the circus king and his wife, Ca' d'Zan stands as a testament to the American Dream of the Roaring Twenties. Designed in the Venetian Gothic style, this dazzling palatial mansion perfectly captures the splendor and romance of the Italy the Ringlings so loved. Enjoy Discounted Admission - Thursdays 5-8pm. Explore the Museum of Art permanent and special exhibition galleries, and the Circus Museum. Art After 5 admission includes select events and programs. Whether it is a Gallery Walk and Talk, Ringling by the Bay, or a self-guided tour, there is something for everyone.